Meet Me in the Burbs, Mr. Stark. BAIT is located in a strip mall, in the burbs. The creation of Peng Cheng, a man with a proven track record of building largely successful online retail ventures, BAIT is his brick and mortar baby. The first of what will be three shops in the next few months. Whens news spilled about a new “streetwear” spot opening in Diamond Bar, some negative reaction was natural. A few things I heard: streetwear is selling out. now everyone is going to have this. why would you open a boutique in the suburbs. While most questioned the decision, to me, it made sense, from a business standpoint at least. As Peng put it back then, why would you not want to open a store in a wealthy city where they don’t have anything comparable remotely close? It was a no brainer and it’s worked. BAIT stocks all of the usual suspects. Diamond, HUF, Undefeated, The Hundreds. 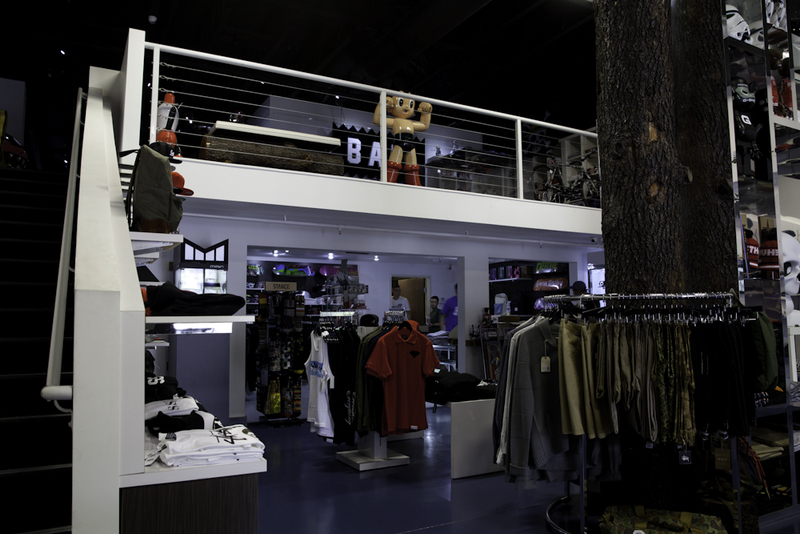 They have Cali giants like RVCA, Vans and Obey, and the next generation: Publish and Brixton. They stock footwear. Reebok, ASICS, adidas. Its a good mix. 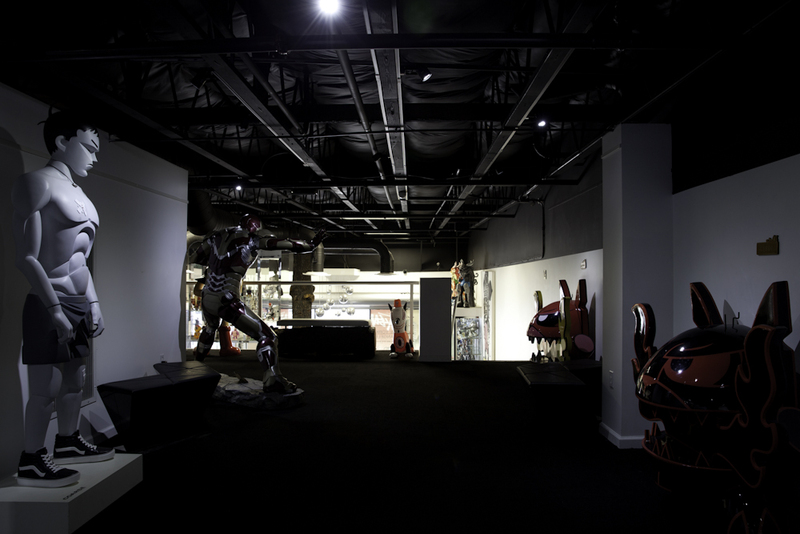 Upstairs, there’s a second floor, dedicated to a gallery housing special projects and exhibition art. 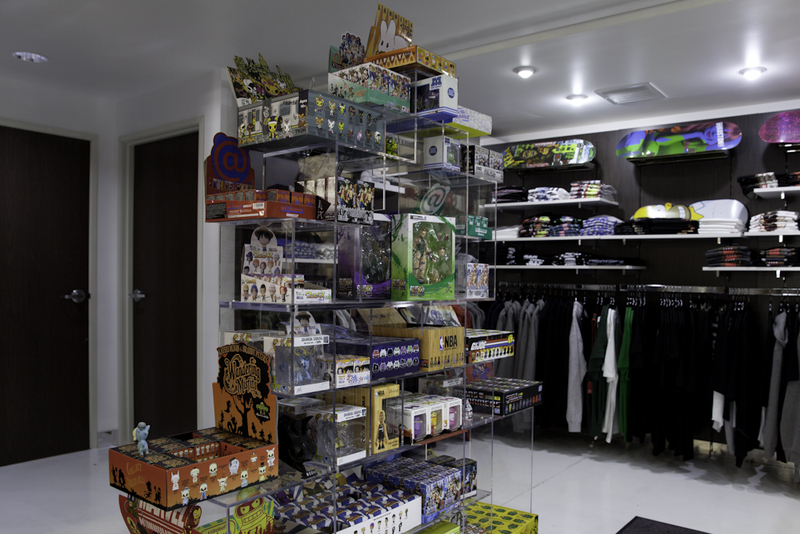 Its one of the store’s coolest attractions. Quite possibly, the most important factor to BAIT’s success is nowhere to be seen, however. This is because it’s sold out. Numerous times. This was the basis of our conversation with Peng and BAIT’s marketing director, Eric Phan when I dropped by the other day. Collaborations. In their eyes, its what makes BAIT different from anyone else. Churning special projects after special projects on a monthly basis. Street Fighter, ASICS, Reebok, SpongeBob… the list goes on. Eric mentioned they already have the next year lined up with something dropping every single month. You’d think producing so many of these things would get old. Nope. People want more. Obviously not everything they make is or has been an hit, but there’s been more positive than negative. 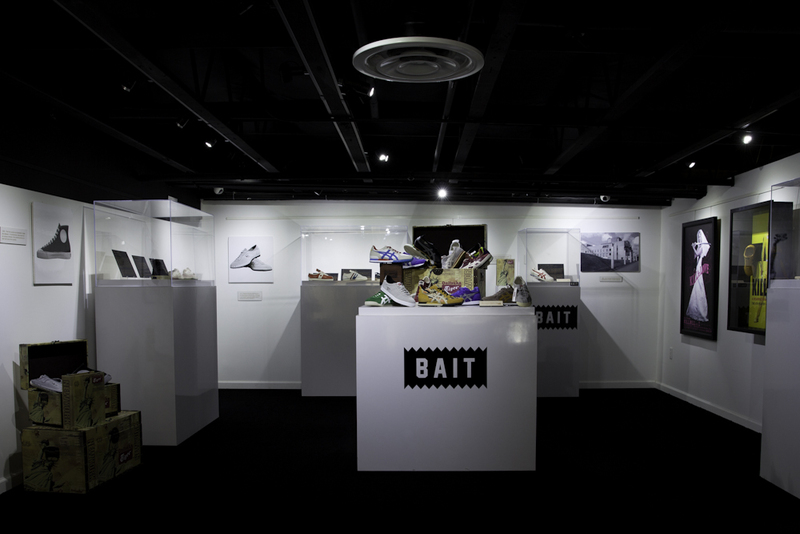 For me, the biggest take away was how BAIT has been able to keep the lights on successfully through stocking pretty general streetwear and still making the extra monetary bang off conceptual ideas of their own. Its a win-win and something to really marvel over. Don’t get the wrong idea though. 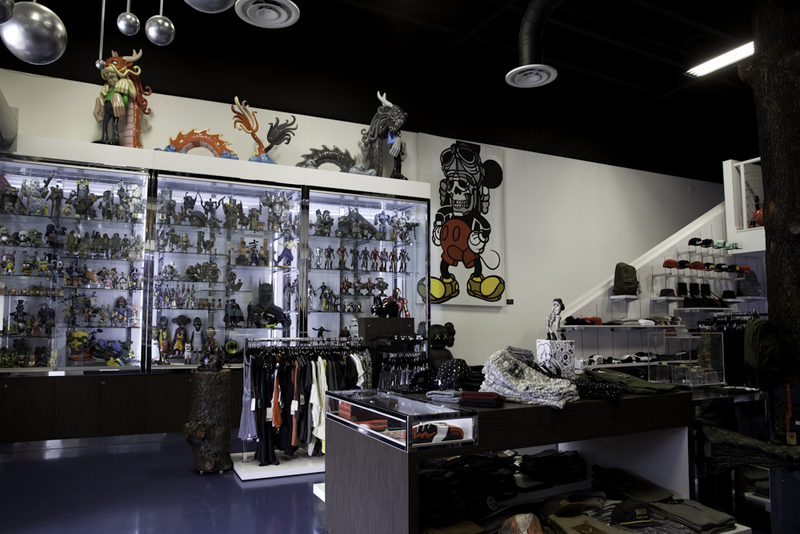 BAIT has plenty of gems at just about every turn in their two-story space. I found myself getting a Street Fighter tee and I haven’t played that game since I was 12. The power of presentation, eh? Glass cases full of personal collection vinyl and some for sale. That Astro Boy is much larger than it looks. David Flores original piece. $10k, for sale. 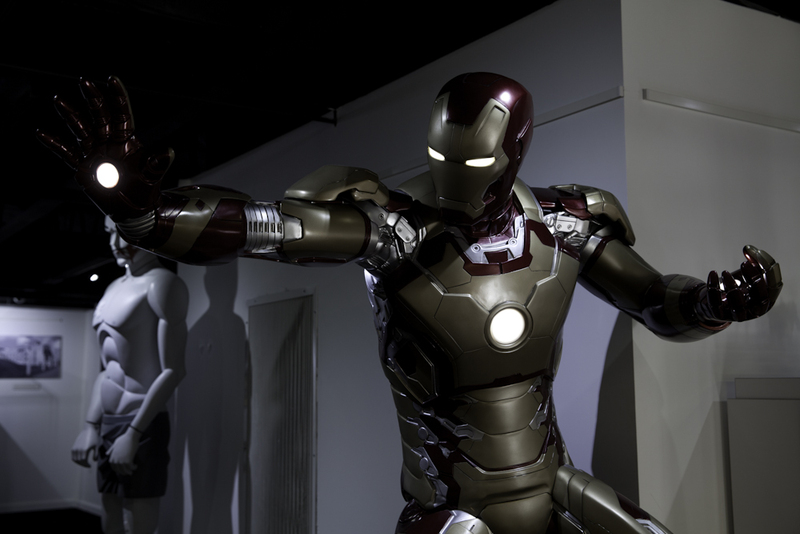 Tony was on sale, for a cool $7k.